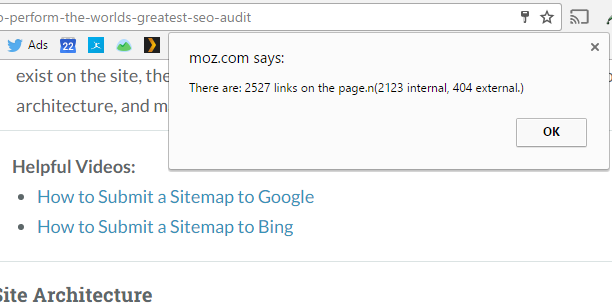 To assist in your backlink analysis. With backlink data, you can then determine which folders are most linked to and investigate why, potentially replicating its success. For these formulas to work, it’s best to “FORMAT DATA AS TABLE” in excel. Yeah, yeah… but how do you get a list? Well, first of all, you dont “get” a list – I’ve tried, and it DOES NOT work. If you buy a list, and decide to start emailing them offers, you will get a bunch of spam complaints and your account will be shut off. If you’re running PPC, you should ALWAYS direct traffic to a squeeze page. That’s a given. If you’re using the viralurl software, the same concept applies. “But I think direct-linking is much easier” – EHHHHHHHHH WRONG! With direct linking, you get much more people to see the offer, but they’re not ready for it yet – except for your ad, they really have no idea what to expect. And those that do buy your stuff, wont leave their info so you can email them later to buy more stuff. So always have a squeeze page somewhere. It doesnt have to be a plain old page like Eben Pagan originally came up with, but it could be a blog, or even a squidoo – as long as you can capture their data. Here’s where it gets tricky. Even though you have tons of email fields everywhere, people are just not signing up! Again, if people are not driven to take action, they wont. If you expect it to happen just because, it wont. Not only that, but email has been so beat up that people go extra lengths to protect it, which forces you to be EXTRA good. Solution? OFFER YOUR BEST! Yes, give them so much info, or such a good bonus, that they just have to sign up. I may be talking out of my arse, one would say… but this guy is definitely not. He built a 200,000 emails list and continuously make $300-400k out of it. Forget what I said and go see what he’s saying. Yesterday, I posted about how to get your ViralUrl email open, so today, I’m going to talk a little about how effective their email marketing software is and what you can to do explore it. So when you have a ViralUrl gold account, you’re allowed to email 3000 other members randomly, every 3 days. As I mentioned before, because of neon-marketers and the volume of emails sent daily, a lot of internet providers will bounce your messages before they even show up in their inbox. So out of 3000 you may get 900-1200 emails delivered. It’s still a decent number. What I’ve experienced since February, when I got my account, is that around 80-120 people actually open a ViralUrl email. Out of those, around 30-60 will click on your link – depending on how good your copy is and how reliable your link looks like. The best part about it is that if you have a domain that is closely related to the product, the link looks way more professional and clickthrough averages go really high. If you want to try it out, go sign up for a ViralUrl account now. Any questions or concerns, post your comments here and I’ll get to them asap. Maximize Your ViralUrl Results – Be Human! If you’ve been online for more than a month, you know how your inbox seems to get flooded with offers; that’s because email marketing is the cheapest and easiest way to make money online. And ViralUrl gives you 3000 people to email every 3 days, for an entire year, for $197 bucks. I’ve written about using ViralUrl as a list builder, but today I am going to focus on making the most out of each and every send. Of course, knowing your audience is a big part of any marketing action, but who’s using ViralUrl, and why? First, know that they have well over 50 THOUSAND people using it – so let’s figure out who they are. The service is not popular at all outside of the Internet Marketing arena. So we safely assume users are internet marketers – which rules out the option of using ViralUrl to promote health and fitness offers. STOP DOING IT! Most internet marketers have already had or heard of a bad experience with Network Marketing – so don’t send them the latest 2-in-1 matrix or Robert Kyosaky cd… or (my personal favor) Donald Trump offers… You’re wasting your time. So what do these people want? They want what you and I want: SELL STUFF. If they want to sell stuff, and you want to sell stuff, what do you do? Help them do it. Send them to a cool post you wrote about email marketing, ppc, seo, whatever. Give them something that will be useful in their business. SIDE NOTE: Usually, the biggest, most hyped product launch offers will work only if you’re able to send your ViralUrl email before all the gurus start emailing their lists. As you know, most gurus share common leads within their lists, and those leads are also on ViralUrl. So use your judgment. ViralUrl users receive an average of 69 emails daily. On top of that, most email providers will mark your message as spam, and even some users will mark it as spam (talk about bad karma). So, out of the initial 3000, you may actually deliver 900 – 1200. That’s still pretty darn good. Your biggest weapon in getting past other messages is being true, honest, and super cool. [Fname] – Your invitations to BLASTOFF – it’s FREE, it’s FUN & it’s a COOL WAY TO GET PAID!! “THE BAR” is where it’s at..100% free,free,free! For some reason, people think that being flashy will get their message across. I call those people NEON-Marketers™. In the ViralUrl system mailer page, you have the option to email as the generic “members@viralurl.com” or using the same email as you login into the system. Most ViralUrl users see the service as spam (again, bad karma) so they filter the messages to their junk folder. Also, some internet providers will block the message before it hits their inbox because they have that address blacklisted. So use your own email, and when people reply to your message, reply back! Finally, you can always make more money if people know you’re real. So be a human – you may need some training, but I’m sure you’ll get it. Eventually. How To Build A List For Email Marketing Quick: ViralUrl Results Ever Thought How Your Town Can Maximize PPC Results? Posted on October 27, 2009 Categories email marketingTags email marketing beginners, viralurl, viralurl bonus, viralurl email1 Comment on Maximize Your ViralUrl Results – Be Human! Free PPC Management (including Setup) for a Month! Free PPC Management For A Month? I will make this quick ’cause I really need to get some sleep – George Brown has just launched the Google Sniper, a great course for folks trying to make it in affiliate marketing. – market and keyword research – 2 campaigns setup – all the ad copy – ongoing split tests (including website optimizer) – and an entire month of optimization. And everything stays with you after 30 days, clean and profitable. All for $77 bucks! Make sure you clear your cookies before you go to that page, or you may send the sale to another affiliate. All you have to do after you buy it is post a comment here and I will get in touch with you to work out the details. Posted on October 19, 2009 Categories Marketing, ppcTags affiliate marketing, google adwords, google content network, google sniper, ppc managementLeave a comment on Free PPC Management (including Setup) for a Month! Weird freaking topic combination, isnt it? But yeah, today I churned out a combination of these two topics, the first one at the YourIncomePotential, about landing pages and cheap ppc traffic, which is a continuation of the discussion about the google adwords affiliate slap. I’ve had great feedback from the initial article about the affiliate slap, and now folks can see the basis of a highly-converting landing page. And as I was reading about Social Media Silos, it struck me that most companies flush their social media marketing down the drain by failing to integrate departments and make them communicate. A silly mistake that can cost thousands of dollars and waste considerable time, silos are the result of a poorly constructed social strategy. Companies that see a blog as another billboard are doomed. Check out the material I published above, I’m feeling amazingly productive today and I’d appreciate your opinion. Effective Relationship Building through Social Media Stop The Bleeding: Google Affiliate Slap No More! Stop The Bleeding: Google Affiliate Slap No More! Affiliate marketing is still hot.. who doesnt like a little slap? When Perry Marshall posted Dr. Glenn Livingston’s email regarding the new Google Slap for Product Review Sites, several affiliates started reevaluating their operations. But marketers that are looking to build a solid business have decided to reevalute their sales process, and have been trying to figure out the best possible solution to clear the slap scars. Much has been discussed, and Perry Marshall even held a teleseminar on the topic, but nobody has stepped forward with a proposed solution. Well, I’m making my strategy to defeat the google adwords affiliate slap available, freely. No sign up required, no nothing. Enjoy it. Actually, I do require one thing: POST YOUR COMMENTS HERE AFTER READING! Posted on July 27, 2009 Categories affiliate marketing, ppcTags affiliate review, avoid the slap, google affiliate slap, ppc trainingLeave a comment on Stop The Bleeding: Google Affiliate Slap No More! I’ve been working with a local gym introducing them to different ways of using the web as a communication channel and monetization opportunity. Of course, the very first thing they asked was about Pay-Per-Click, to which I tried to explain (not successfully) that their beautiful corporate website would was not ready for it. They had a bunch of flash animations, amazing graphics, and a really kick-arse design. But the navigation was poor, there was very little content. But more importantly, if I were to use that for a PPC campaign, I needed a BRIBE and a CAPTURE FORM. The owner looked at me like “Am I really paying you? If you’re paying for traffic, you need to find a way to monetize those visitors. Even if it means a simple data-gathering form. What is the web 1.0 corporate deathtrap? When that same business owner heard me saying that, he freaked out. Most brick-and-mortar business owners believe a website should be like the front of their store, and look pretty enough to invite visitors in. But the fact is that the internet is the biggest, fastest-pace mall EVER. Online users’ attention span is minimal and they’re not attracted by looks only anymore. That was the web 1.0. Visitors now want information, as they’re used to receiving it at an unbelievably fast rate from Google, Twitter, and many other sources. And making information attractive, educational, and satisfactory is key running a successful website and to widen a business’ communication channels. Get that expensive web designer of yours and feed him with everything that is going on in your business. Tell him to update the site with a NEWS stream and publish press-releases-like messages (or even blog-posts-like) at least twice a week. Instigate your visitor by publishing pictures, and videos on your website. But not studio pictures or professional videos: get somebody on your staff to take pictures of that special event or record a video of a class or seminar. It has to look real, not “made-for-tv”. use the website to promote special events, and offer web-exclusive bonuses. Start a blog: Let customers post their feedback. Write an industry-specific ebook or record a video training and sell it on the website. The web is the most effective communication channel a business can have, aside from personal interaction. It offers the most targeted advertisement platforms, and through the internet a business can uncover any market. As long as top management is aware of it, a website will offer a ton of opportunities. But when management is stuck in the web 1.0, the best thing to do is introduce them to the information era. I’ll keep you posted on our work as we move forward with the project. If you’re a business owner looking for ways to establish a more positive online brand strategy, or you’re tired of paying good money for a website that is useless, post your question here (as a comment), and I’ll answer them.